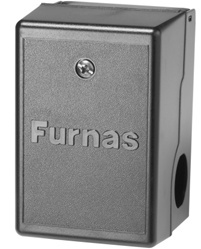 Call Guardian Industrial Supply at 1-877-934-3585 today to buy FURNAS CONTROLS 69JF6 - Pressure Switch. Designed to be the most adaptable switch on the market, the 69J offers the user the flexibility to build the pressure switch around the compressor - not the other way around. The unloader can be mounted on the front or either side, and can be rotated to any of eight different positions allowing for quicker assembly and shorter tubing. 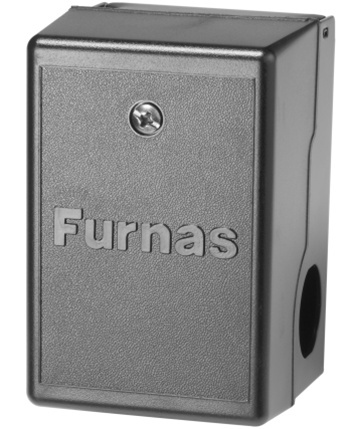 Bottom cable entry is also available with unique built-in clamping strain relief for even quicker assembly. With thousands of variations right off the production line, the 69J provides maximum flexibility at minimum cost. With UL, CSA and CE approvals, the 69J is designed to be sold anywhere in the world.